There are many reasons to love 90’s hip-hop and R & B. Only recently, I offered a brief lecture to my ward team in which I deconstructed the iconic music video “Motownphilly” by Boys II Men. The exercise provoked teenage memories of working on synchronized high energy dance moves with one of my good neighborhood friends, Martin. 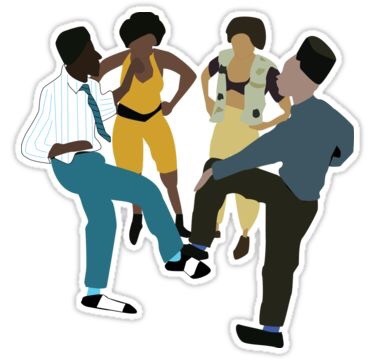 The moment when your conscious effort fades away and the music takes over your body as you execute the moves to the building cheers of friends at a party is one of those great life feelings. Residency feels like learning a dance . . . But, I don’t always learn the steps in order. The music is always changing, from the steady mid-tempo of the wards to the upbeat Emergency Room to the slow dance of clinic (of course, the music can instantly change within all three settings as well). I can’t lead all the time- sometimes I only get to the best part of the room by letting my patient lead. I sweat, I get tired, I wonder how many minutes are left in the song. Can’t I leave the dancefloor for a minute? Then, this little dancer in clinic shows me a new move: It’s called “Hug the Doctor.” It’s a great move and easy to learn. It also gets me to the end of the song . . .
And sometimes, the music skips. I can’t figure out the problem or what to do next or how to get past an impasse of opposing lyrics. And sometimes, I’m back on the dance floor with Martin. The patient presentations flow with energy and purpose. Everyone recognizes the beat of a good plan. The steady drum of knowledge is overlaid with a couple of compassion tracks and we have a hit. The team may not be dancing on the desks of the nursing stations, but they’re thinking about it . . .
Do it Yourself (or with others) An Introduction . . . I have never considered myself a DIY, use my hands to fix stuff sort of guy. I have always assumed that inclination was part of a different personality type. I am more naturally drawn to ideas, language, music, abstract science concepts and other things you can’t hammer a nail into. But in coming home this week from an interesting event called #wemakehealth I was forced to challenge some of my assumptions. #wemakehealth is an example of the “maker movement” a growing group of people from professions as diverse as medicine, business, design, and technology united by a common purpose, to make everyone into a maker. So, what is a maker? I understand it to be anyone who decides that she will not wait for a solution to handed down, but will get her hands dirty and build one now. And that is physically build it. 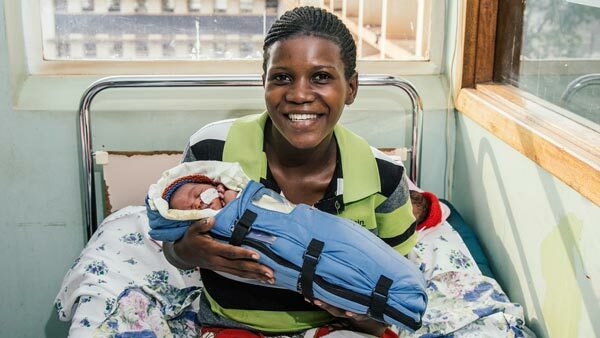 One speaker referred to it as “democratizing engineering”; an example would be the people who helped develop a warming blanket (known as Embrace) for premature babies in developing countries; this simple device is saving multiple lives where incubators are not available. The idea for this blanket emerged from a graduate school class assignment . . . So what assumptions does this movement challenge? That most of us can only be consumers of something someone else has made. That if you’re not naturally “crafty”, building things is not really for you. That you need tremendous background in design and engineering to build something from scratch with your hands. I think we can agree that most things are more interesting to do than to watch. Yet, we somehow accept that other people who are more talented, educated etc must do all our building for us. This doesn’t mean that we suddenly have to try building complex computers. In fact, many incredibly useful objects are quite simple in their design (that warming blanket). I feel like the perfect messenger for this message precisely because I didn’t grow up trying to fix things and build stuff. And yet, in medicine, I was strongly drawn to surgery. There is something undeniably fulfilling about physically fixing a problem and being able to look upon your work. When I was given the chance to close incisions on the babies we were operating on in Kenya, I would look over my work the next day on rounds and if the wound was “clean, dry and intact” it was a tremendous source of pride. I often side with those who argue that we are born creative but have creativity educated out of us, and conclude falsely that it is the reserve of a select few. Now, I also wonder whether if there is something fundamentally human about building, making physical creations. The creation may be a meal, a painting, a creative blood pressure monitor, but it’s something. Perhaps, we were not made only to consume or roam the halls of the abstract, however enticing. Making is also key to progress in healthcare where so many structures, devices, procedures and processes remain opaque. Can we make something better ourselves? Can we stop waiting? Incidentally, #wearenotwaiting is the hashtag for the NightScout project, comprising a group of parents who came up with a creative way to remotely monitor their diabetic childrens’ blood glucose levels on cellphones . . . So, to explore these ideas further, I am starting a brief blog series on making. I’ll bring in voices from the maker movement as well as practical ways to explore your own potential as a maker. If can I do this, trust me, anyone can! Many years ago, when I was engaged in hand-to-hand combat with the ferocious winters of Montreal, I was introduced (virtually) to a speaker who shared these thought-provoking words “What makes you angry? It is a clue to something you were purposed to address.” The words have echoed in my mind since then, especially when I see something upsetting. And that happened this week. Immigration is a loaded topic and there are reasonable arguments both for being lenient and selective in policy. What got to me is that the simple desire of this girl to study where she lived was being held hostage to a policy and to the limitations of her home country. It reminded me of my experience at a Kenyan hospital earlier this year when a mother presented her child with a spinal birth defect at 9 months instead of the recommended 48 hours which caused lower limb paralysis and incontinence. Why not earlier? Cost. The mother could not afford it. It is frustrating when people do not have access to basic education and health. But what is more upsetting is when we settle for sensible answers and say things like “There are not enough resources to go around.” or “We can’t take everybody.” Where is the creativity? Where is the resolve that says this is unacceptable and sensible answers are not enough? It was not sensible to suggest fighting malaria with a fence that shoots out lasers to kill mosquitoes . . . a “Phototonic Fence” is almost ready for market. 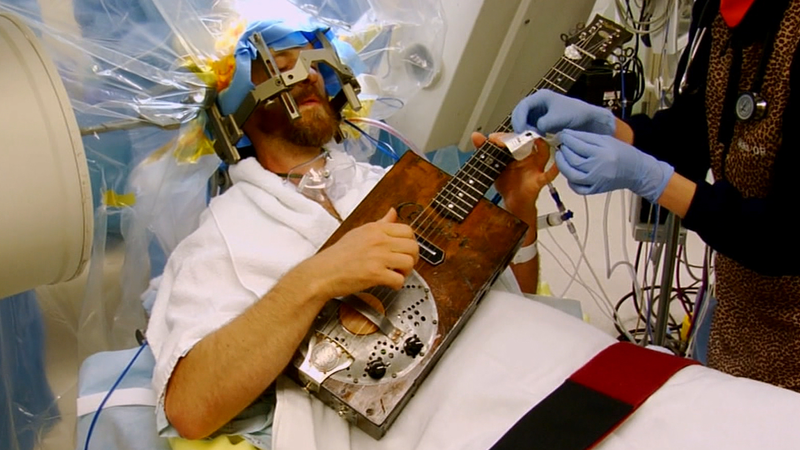 It was not sensible to have a patient play guitar during brain surgery, but that’s how a neurosurgeon recently conducted an operation to ensure the patient’s brain function was not being compromised. It was not sensible to suggest that the nation with the highest percentage of its population engaged in mobile banking would emerge from sub-saharan Africa . . . today, that nation is Kenya. It was not sensible to suggest that internet service can be provided to a rural community without electricity. The creative thinkers at Mawingu Networks are doing just that using solar energy and “television white space,” unused television frequencies. No one is saying these problems are easy, but we won’t solve them by conventional thinking. This could be reduced to another “thinking outside the box” message but this imperative goes deeper. I think we all harbor real doubts about whether some problems can ever be solved, but if we see something isn’t right, it should drive us to do something about it regardless. The creative knowledge is there and our access to each others’ thoughts is unprecedented. You’d be amazed what you can find. Consider a silly experiment that I carried out this week. First, let me say that I am always astounded when I look up something on Google at how many people have asked the question before, even when it’s quite obscure. So I decided to make up a highly ridiculous search request, just to see if the question had been asked. I typed in the question “Do onions make good pillows?” I did not find a hit with that exact question, but someone did ask whether he should sleep with an onion in his armpit. Why??? Apparently, in some regions of South Asia, it’s a trick to cause a fever for kids to get out of school. I have no idea if this works and have no (immediate) plans to test it. But if it is true, how was that discovered?? Minds are churning every day and we have access to these minds. It bothers me when we settle and use words like “reasonable”, “realistic” and yes, “sensible”. This is not arguing for rebellion for rebellion’s sake, or self-indulgent attention seeking. And, of course, there is a place for planning and counting the cost. But, there are real heart wrenching issues we face today that are costing lives and hope that can only be confronted successfully if we’ll take the risk. Spectacular success begins with the willingness to fail, spectacularly. What If We Try This? Rediscovering the Possibilities of Design Thinking . . . 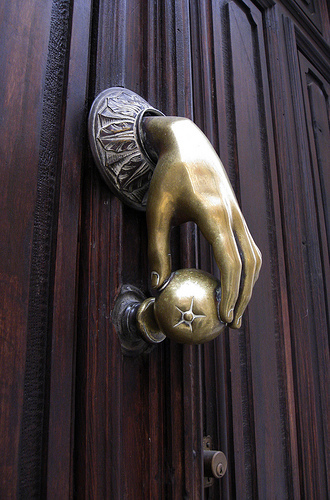 Door knobs can be annoying. They’re not all the same. It’s not always clear whether you should push or pull and nothing makes you look like an idiot faster than struggling with a door. There are people who spend their days determined to spare you this anguish and they are called designers. In the past week, I have been reintroduced to the possibilities of design to solve all kind of problems including the ones that seem most intractable. I am especially interested in how design can improve how we deliver health. So how did this start? A couple of years ago, I took part in the HULT Prize, a global student competition in which teams from around the world are challenged to come up with a social entrepreneurship solution to a pressing world problem. In our year, it was the growing problem on non-communicable diseases in urban slums. We reached the finals with an idea that combined microinsurance, theatre, and mobile technology to dynamically manage diabetes and hypertension. To come up with this solution, we used something called design thinking. Design usually conjures up the idea of decoration and aesthetics, but in reality the best design goes beyond making things pretty to actually improving how things work, something the heathcare system badly needs. Some of the principles of design thinking include observation, defining the problem, which is often not easy, then free-form brainstorming, prototyping and then testing the idea and starting the process again. The process is not linear or analytical but rather cognizant of the fact that complex problems cannot be solved with only one line of thinking but rather multiple iterations. And so it was refreshing to come across the work of Dr. Joyce Lee at the University of Michigan who is a doctor with a strong interest in design and how it can transform healthcare delivery. Her work started with a simple observation, that her son’s school had an allergy action plan that was badly designed. She worked creatively with her son (who has severe food allergies) to create a simple, yet compelling YouTube video on how to respond to ingested food allergens that was so effective, it was adapted by the school and spread over the Internet. One of the most powerful methods of design thinking is the process of observation, really taking the time to notice how things and people work around you. We miss so much. Interestingly, I used to give similar advice to my actors, to go out and really watch people (in a non-creepy way, preferably). It’s the tiny nuances that can make the biggest difference in presenting characters on stage. Take the simple act of convincing an audience that you are drinking a hot cup of coffee. The obvious part would be to gingerly pick up the cup and sip carefully showing that the coffee is indeed hot. But if you watch someone carefully with a hot drink, there is one other detail, the tiniest of squints as the steam from the cup arrives at the eyes. The audience may not consciously register this detail, but the illusion is complete and effective. That kind of detail comes from observation. The actor needs it; so does the designer; so does the doctor. My first goal in learning about health and design is to “see” better. How do things really work in everyday life? When challenged to think about what I really see, Bertolt Brecht came to mind. The famous German Theatre practitioner built his Theatre on the premise that we should always question the status quo, but that we could only do that if we had a way to reexamine what we have gotten used to, a process he called “making the familiar strange.” His motivations were primarily political but his principle is compelling. How much around us is really set in stone? What do we presume to be fixed and unchangeable? Do we ask “why” enough? So, yes, I’d like to see more. 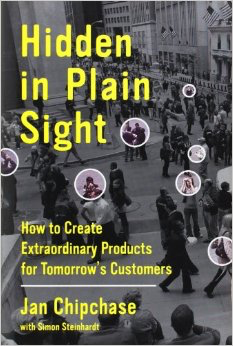 To help prompt this process, I will be reading the book Hidden in Plain Sight: How to Create Extraordinary Products for Tomorrow’s Customers by Jan Chipchase. Feel free to join me . . . let’s see what we’ve been missing.